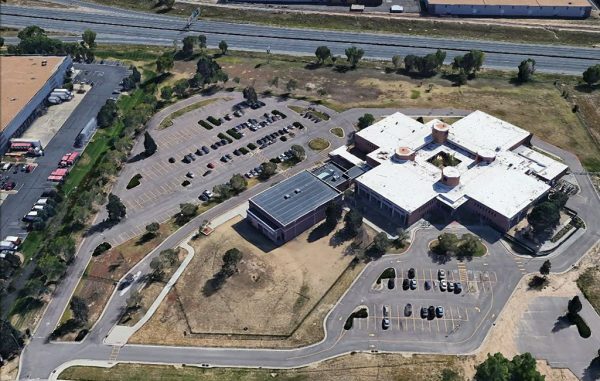 Denver Public Schools has purchased the northeast Denver campus that houses the district’s High Tech Early College. The school district acquired 11200 E. 45th Ave., a 113,000-square-foot building on a 13-acre site, this week for $11.1 million. DPS spokeswoman Jessie Smiley said it has leased the property for five years, and exercised a right of first refusal in buying it. John Emmerling with Pinnacle Real Estate Advisors represented the seller, Ed Options LLC. Emmerling described the entity as a holding company for a New York-based firm that has held the bonds for the property since 2005, when the campus was converted for educational use and used for a series of charter schools. Prior to that, the site was the headquarters for luggage manufacturer Samsonite Corp. The company, founded in Denver in 1910, is now based in Hong Kong, with its U.S. headquarters in Massachusetts. In addition to High Tech Early College, which has students in grades 9 through 12, the 45th Avenue campus is also home to the 9th grade of DSST Conservatory Green High School, which will move to the Paul Sandoval campus in Northfield next year. About 570 students attend class on campus. Smiley said DPS plans to improve the building, including replacing portions of the roof and repairing flooring in the classroom and gym areas. She said the district is phasing and scheduling the work, and did not have a total cost estimate.